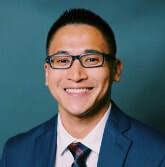 Mark Vincent B. Yu, Ph.D.
Mark Vincent B. Yu is a National Science Foundation SBE Postdoctoral Research Fellow in the School of Education at UCI. Dr. Yu’s research interests focus on socio-ecological and strengths-based approaches to youth development. He is particularly interested in understanding how ecological assets such as supportive non-parental youth-adult relationships (e.g. with teachers, mentors, extended family members) and settings (e.g., schools, afterschool programs, communities) can be optimized and designed to capitalize on youth’s strengths. ​At UCI, under the sponsorship of Sandra Simpkins and a member of Project REACH, Dr. Yu’s research examines high-quality and culturally responsive math afterschool program practices for under-represented minority youth. Additionally, Dr. Yu collaborates with researchers in the Developing Character Project to explore the development of youth’s character virtues from childhood through adolescence, with particular interest in understanding how afterschool activities help support youth’s positive character development. Dr. Yu earned his Ph.D. in Educational Psychology: Applied Developmental Science from the University of Virginia where he was an affiliate of Youth-Nex: The Center to Promote Effective Youth Development. He completed an M.S.Ed. in Counseling and Mental Health Services from the University of Pennsylvania, and received a B.A. in Sociology and Psychology from the University of Guam.